Home Education Can C.L. Max Nikias Turn USC into the Stanford of Southern California? Can C.L. Max Nikias Turn USC into the Stanford of Southern California? alk the 226-acre grounds of the University of Southern California and you’ll see a school in the midst of a multibillion-dollar transformation. Massive construction projects—more than 80 in 2014 alone—rumble alongside sparkling new buildings that make the 124-year-old main campus look as sleek as an iPad (while earning USC the nickname “University of Summer Construction” by some of its students). Dozens of recently erected buildings are etched with the marquee names of USC’s wealthiest benefactors: the six-story, 98,000-square-foot Dr. Verna and Peter Dauterive Hall (a $30 million gift from Verna Dauterive, an educator and USC alum), which held its opening ceremony on September 3; the 88,000-square-foot Wallis Annenberg Hall, which opened this summer as part of the Annenberg School for Communication and Journalism; the Engemann Student Health Center, a $15 million gift from Roger and Michele Engemann (she’s the daughter of the late Trojan baseball coach Rod Dedeaux); and the USC School of Cinematic Arts, home to the George Lucas and Steven Spielberg buildings as well as the $45 million Interactive Media Building, which is tricked out with the sort of technological amenities (motion sensors, Oculus Rift virtual-reality headsets, touch-screen monitors) that look as if they were sprung from the set of a sci-fi blockbuster. A generation ago USC was lauded for its film school and athletic programs, but the private university was dismissed by many as a safety school for wealthy kids who couldn’t get into UCLA. Within a relatively short period of time, thanks to a staggering amount of money, USC has rebranded itself as a top-tier university, the kind with Nobel Prize-winning professors, celebrity faculty members, and headline-making donations that rival those of endowment heavyweights Harvard and Stanford. In 2011, steel magnate David Dornsife and his wife, Dana, pledged $200 million—a university record—for the College of Letters, Arts and Sciences. (My father is a professor of biological sciences at USC Dornsife.) A year later Arnold Schwarzenegger pledged $20 million and launched a political think tank, now known as the USC Schwarzenegger Institute for State and Global Policy. Rounding out the epic gift giving—and upping the cool cred—are rap impresario Dr. Dre and music mogul Jimmy Iovine, who have put $70 million into a new entrepreneurial academy focused on the arts and technology. USC, Jimmy Iovine, and Andre Young Academy enrolled the first group of 25 students this fall. On this fall afternoon Nikias sports his professional uniform: dark suit and striped shirt set off by a shiny USC pin on his jacket lapel. He is sitting on a sofa inside the presidential dining room on the ground floor of the Ronald Tutor Campus Center. Completed in 2010, the grand hall seems middle-aged compared with the newer buildings nearby. At the end of the room is a large polished dining table, where Nikias hosts dinners for the growing list of luminaries who pass through the campus these days. “This is the ultimate goal,” Nikias says, “to really set up this university academically, where there is no question that we belong in that pantheon of elite universities.” If the president meets his goal—at $3.4 billion, he’s more than halfway there—he’ll be known as one of the greatest academic rainmakers of all time. Nikias is forthcoming about those major donations and his university’s cachet. But this pay-for-prestige is unseemly to many academics, who have, at least in theory, eschewed the financial rewards of the marketplace for a more noble pursuit. “I think people worry that universities are just machines, where fund-raising is more important than academic goals,” says Bill Boyarsky, who taught journalism at USC from the 1990s to 2007, when he was a columnist at the Los Angeles Times. (He now writes for the political Web site Truthdig.) 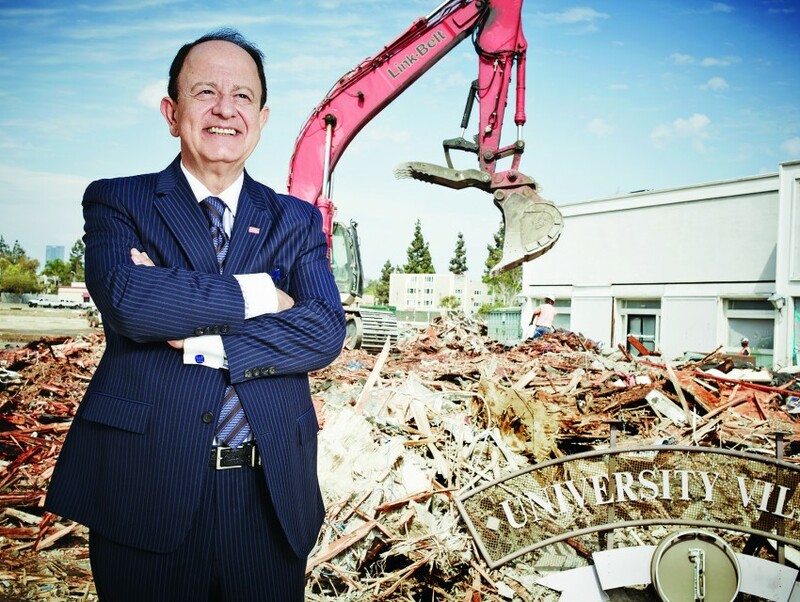 Nikias has the difficult task of balancing multiple roles—statesman, salesman, and intellectual—to mollify the academics while pitching the university’s future to media, real estate, and entertainment titans. hen USC opened in 1880, the city’s population was 11,000. There were few paved roads and even fewer streetlights. In its first year USC had ten faculty members and 53 students. Tuition was $30 a year. During the next several decades, USC earned its reputation as a regional private school with loyal alumni and a strong athletic tradition, but it consistently fell short in national college rankings. 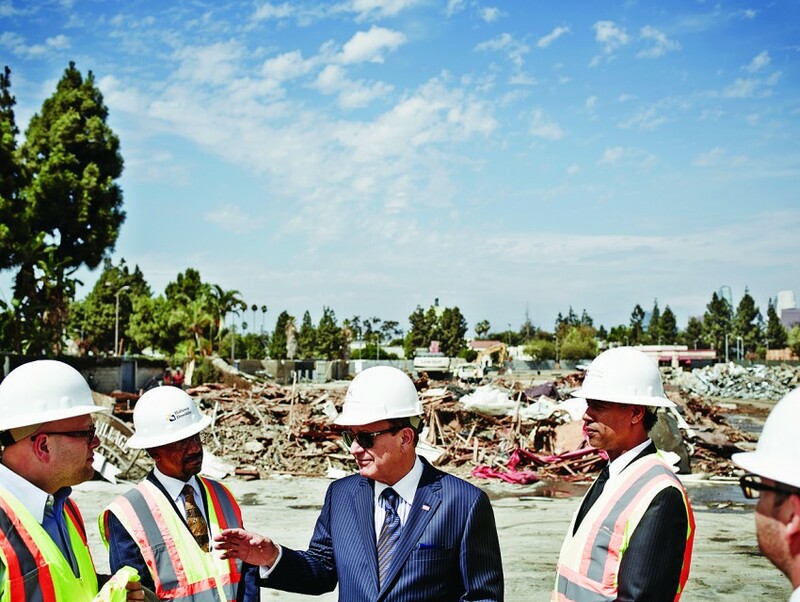 Nikias describes that period as “the world falling apart in Los Angeles.” The collapse of the aerospace industry gutted the local economy. Gang-related crimes in the area surrounding the campus were at an all-time high, and racial tensions were mounting and would soon erupt. Things had so deteriorated in South L.A., some USC trustees floated the idea of taking a page out of the Pepperdine handbook. Pepperdine’s original campus was at 79th Street and South Vernon Avenue and narrowly escaped being torched during the Watts riots in 1965. So Pepperdine’s trustees opted to move the school to its current location in Malibu. USC’s partisans considered a similar move to Orange County during the ’90s. Had it not been for then-president Sample’s refusal, the Trojans’ crosstown rival might have been UC Irvine. USC has also strengthened its “brand” in health care. In 2009, USC’s Keck School of Medicine acquired USC Norris Cancer Hospital and USC University Hospital from Tenet Healthcare Corporation. Last year came Verdugo Hills. In July Keck planted its flag in Orange County by acquiring a small oncology network.